F1 passes to the inside of the ice to D1. D1 to F2 to F1 swinging through center lane. F1 one-touches the pass to D2 who quickly passes back to F2 cutting through the center lane. 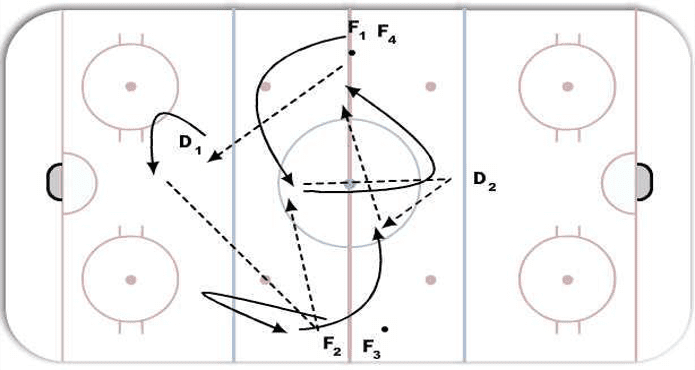 F2 passes to F1 and goes in 2v1 on D1. After D2 makes the pass to F2, D2 recovers to the red line, pivots backwards and gets an inside pass from F3 to continue the drill.